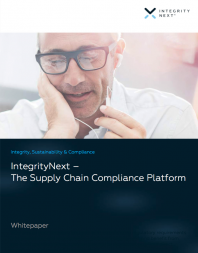 Practical guidance to approach supply chain compliance with IntegrityNext. Companies are increasingly being held accountable for the practices of their suppliers. Read this whitepaper to increase speed to compliance with a ready to run and easy to use platform that addresses the scope of your business.